Welcome to the Wisconsin/Upper Peninsula of Michigan Junior Science and Humanities Symposia (JSHS) Program. The University of Wisconsin - La Crosse will host the 2019 Regional JSHS symposium held January 26-27, 2019 at Treehaven in Tomahawk, WI. All students, teachers, mentors, parents, and other guests who wish to attend the event should register by December 3, 2018. Students who wish to present a research project must register by December 3, 2018 and submit their materials by December 14, 2018. All participants must attend the entire event. Leaving early is not permitted unless approved by Program Director. High school students interested in STEM studies can participate either as an oral presenter, poster presenter, or student delegate (observer). Any high school student from the Wisconsin/Upper Peninsula of Michigan region may submit a statement of outside assistance, abstract, and research paper for consideration. STEP 3: By December 3, 2018, students and all other participants must register to attend. STEP 4: By December 14, 2018, presenters need to submit for evaluation a Statement of Outside Assistance, abstract, and paper reporting the results of their STEM research. Abstracts and papers should follow the format found at http://www.uwlax.edu/conted/jshs/. STEP 4: The Regional JSHS assembles a review panel to review students’ abstracts and papers before selecting students to present their work. A total of 10 students will be invited to present their research in oral sessions. Others will still be invited to present their research in a poster presentation. What if my abstract and research paper is not accepted? Students whose research submission is not accepted for an oral presentation at the Regional JSHS but is complete and meets all abstract and paper format guidelines will automatically be invited to attend as a student delegate or poster presenter. Registration is OPEN until December 3, 2018. Students must upload Statement of Outside Assistance, abstracts and research papers by December 14, 2018. Notification to confirm participation in oral or poster presentation by early January 2019. There will be $20 fee per participant, which will be collected by UWL when you complete your registration. However, this fee is not required in order to present and will be used for memorabilia or experiences to enrich your JSHS memories. The JSHS office at UWL will contact you after your registration is received. Students who are selected to make oral presentations at the Wisconsin/Upper Peninsula of Michigan JSHS, and are present for the entire event, have an opportunity to win undergraduate, tuition-based scholarships and cash awards from $250 to $2,000. In addition, student presenters have an opportunity to receive the Presidential Scholar Award. 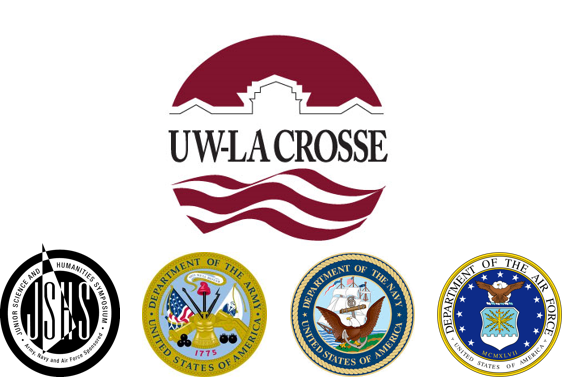 Additionally, The University of Wisconsin - La Crosse will send a congratulatory letter that will offer a scholarship of up to $250 to each of the top five finalists who attend The University of Wisconsin - La Crosse. A selected teacher or mentor will also receive a $500 award and an all-expense paid trip to the National JSHS to honor their contributions to advancing student participation in research. The regional JSHS at the University of Wisconsin – La Crosse is co-operatively sponsored by the School of Education, Professional, and Continuing Education, the College of Science and Health, and Continuing Education and Extension.